Things a Scotsman Wants to Know - Mark Twain's Last Hoax? With special thanks to Jeff Imparato and Donna Halper for assistance in locating original copies of Harper's Weekly. "I always had an idea that most of the letters written to editors were written by the editors themselves." In 1973 the University of California Press published the Iowa-California edition of What Is Man? And Other Philosophical Writings edited by Paul Baender. 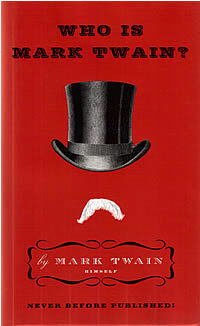 The Iowa-California editions focused on providing scholarly and authoritative texts of Mark Twain's previously published works. However, Frederick Anderson, editor of the Mark Twain Papers, consented to the inclusion of a previously unpublished letter from Mark Twain to the editor of Harper's Weekly titled "Things a Scotsman Wants to Know," (pp. 398-400). Anderson and Baender felt the letter was closely tied in content and date of composition to a series of letters collected and first published in Letters from the Earth (1962) which were also included in the Iowa-California volume. Baender provided only minimal background information on "Things a Scotsman Wants to Know" dated August 31  and signed with a pseudonym "Beruth A. W. Kennedy." Baender noted that the letter was a reply to a previous inquiry in Harper's Weekly regarding theological questions which had been published a few weeks earlier. According to biographer Albert Bigelow Paine, Mark Twain wrote very little for publication in 1909, but he did enjoy writing for his own amusement, "setting down the things that boiled, or bubbled, within him; mainly chapters on the inconsistencies of human deportment, human superstition and human creeds" (Paine, Letters, p. 833). Paine, in a very diplomatic manner, was referring to Mark Twain's diatribes against God and organized religion. Paine recalls, "One fancy which he followed in several forms (some of them not within the privilege of print) was that of an inquisitive little girl, Bessie, who pursues her mother with difficult questionings" (Paine, Bio. p. 1515). Mark Twain began the "Little Bessie" theological dialogues in February 1908 and continued reading and working with them in 1909 while he read them aloud to Paine. "Things a Scotsman Wants to Know" was written at the end of August 1909. The polemic "Letters from the Earth," a collection of letters from Satan commenting on mankind, was written a few months later in October and November 1909. The same type of writing paper was used for both manuscripts. Passages from "Things a Scotsman Wants to Know" reverberate in "Letters from the Earth." 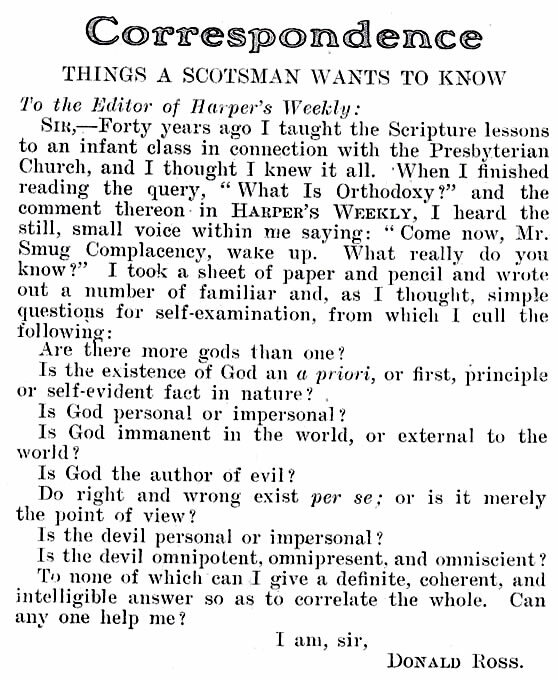 In order to comprehend the full story behind "Things a Scotsman Wants to Know" it is necessary to study the religious controversies erupting across the United States in the summer of 1909 and consider the possibility that Mark Twain published additional commentary in Harper's Weekly on this same topic under more than one pseudonym. A series of events in separate parts of the United States began in June 1909 that rocked the religious community and gave rise to the questions of whether or not Christian beliefs were undergoing radical change. 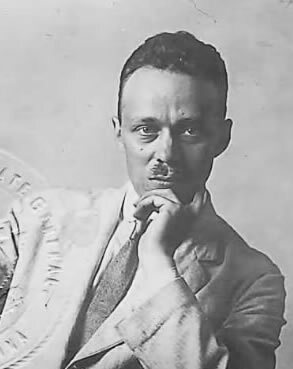 The first controversy centered around Professor George Burman Foster (b. 1858 - d. 1918) of the University of Chicago. Foster, a Baptist minister, became one of the most influential theologians in his lifetime. Born in West Virginia in 1858., Foster graduated from West Virginia University and later studied at the Rochester Theological Seminary in New York. He later traveled abroad to Berlin, where he continued his theological studies. In 1895 he joined the faculty of the University of Chicago. Foster believed in a liberal interpretation of the Bible and when his book The Function of Religion in Man's Struggle for Existence was published in 1909 it generated a storm of debate with demands that he be ousted from the Baptist ministry and the University of Chicago. Baptist opponents criticized Foster for denying Christ's divinity and referring to a strict interpretation of the Bible as naive. Foster proposed that miracles were the refuge of ignorance and that modern techniques must take the place of magic. Foster believed that man had created God in his own image and not vice versa. The Baptist battle with Foster was played out in newspapers across the country. 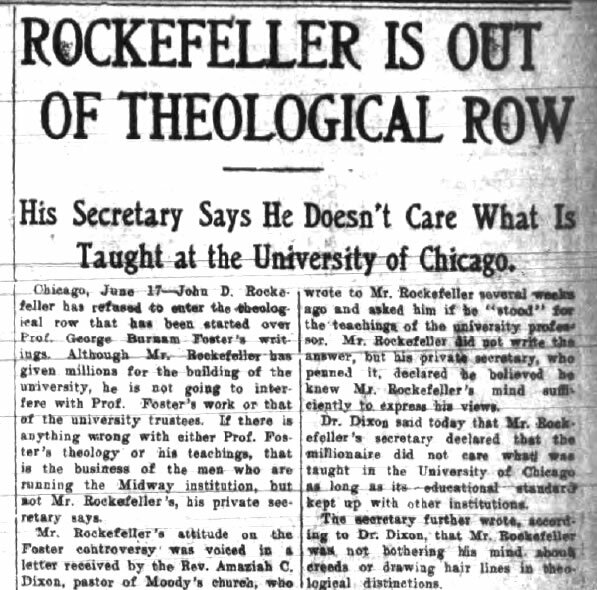 When opponents of Foster tried to drag John D. Rockefeller, a prominent Baptist who had given millions for building the University of Chicago, Rockefeller's secretary sent a reply indicating Rockefeller would not engage in theological hair splitting. Rockefeller's refusal to get involved led to even further criticism of Rockefeller's own Baptist minister in New York, Charles F. Akid.. Headlines regarding the Foster controversy appeared nationwide. The following are samples from newspapers in New York. While the Baptist Chicago Minister's Conference did manage to expel Foster from their organization, he remained a member of the Baptist church and continued to hold his position as a professor of philosophy of religion at the University of Chicago until his death on December 22, 1918. At the same time the Baptist theologians were in an uproar over the writings of George Burman Foster, the Presbyterians in New York were facing their own upheaval. On June 14, 1909, three young graduates of Union Theological Seminary in New York City were licensed to preach in spite of their liberal interpretation of the Bible and beliefs that ran contrary to orthodox Presbyterian tenets. 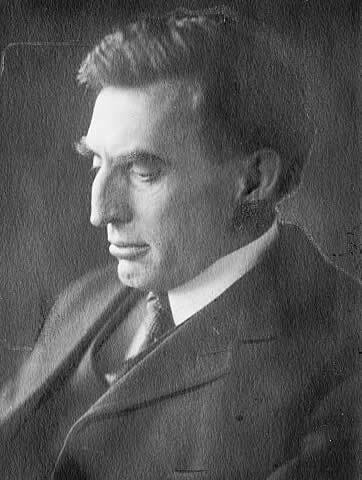 Archibald Black, born in Scotland in 1877, was the brother of Hugh Black who was chairman of Practical Theology at Union Theological Seminary in New York. 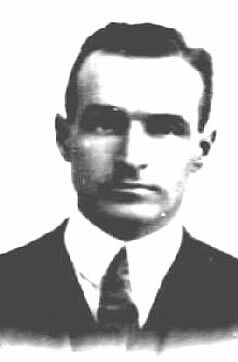 John Ewing Steen, born in Pennsylvania in 1881, held degrees from Princeton University and was from a family of Presbyterian ministers. George Ashmore Fitch was born in China in 1883, the son of Presbyterian missionaries, and held a degree from the College of Wooster in Ohio. The Presbytery of New York, in split decisions, approved the licensing of the three young men following lengthy cross examinations. The decision left many of the more conservative committee members in tears. Black, Steen and Fitch professed beliefs that doubted the traditional Biblical version of Adam and Eve, the divine birth of Christ, and the literal interpretation of Christ's resurrection. The licensing of the three to preach was described in The New York Times as "one of the epoch making events in the history of the Presbyterian Church in America" ("Doubt Adam and Eve But They May Preach," The New York Times, 15 June 1909). The event stirred headlines in newspapers across the country. "A chief interest for at least one summer"
Edited by Col. George B. M. Harvey, Harper's Weekly published a commentary on the religious upheavals that summer titled "What Is Orthodoxy?" on July 3, 1909 (p. 5). The editorial was copied in newspapers around the country. Harper's Weekly, July 3, 1909, p. 5. It begins to look as if the dictionary-makers would have to frame a new definition for orthodoxy before long. A few weeks ago the Chicago Baptists refused to turn down Professor Foster in the face of his repudiation of the authority of the Scriptures and his denial of the deity of Christ, and now the Presbytery of New York admits to the pulpit young Mr. Black, of Edinburgh, who accepts the story of Adam and Eve only as a figure, "not in its literal sense," acknowledges the divinity of Christ but not the virgin birth, and does "not believe in the flesh and blood resurrection." Substantially, as we make them out both Professor Foster and Mr. Black subscribe to the Unitarian theory, and it is not so long ago that Unitarians were denied admission to Baptist and Presbyterian pulpits on the ground that their faith was not that of Christianity. Whither we are now drifting is difficult to determine, but that the current is strong and rapid is certain. The Rev. Amaziah C. Dixon tried to draw out Mr. John D. Rockefeller apropos of the Foster episode, but received no more than a sentence from a secretary to the effect that "Mr. Rockefeller is not bothering his mind about creeds or drawing hair-lines in theological discussions." The publication of "What is Orthodoxy" in Harper's Weekly provided fuel for letters to the editor. At least one, which was never published in his lifetime, was written by Mark Twain using the pseudonym Beruth A. W. Kennedy. The entire sequence of correspondence that was published on the topic merits closer scrutiny. Prior to July 1909, Mark Twain's previous contribution to Harper's Weekly that year had been a short essay titled "The New Planet" in the January 30, 1909 issue. "The New Planet" was a response to the announcement that Harvard astronomers had observed "perturbations" in the planet Neptune which indicated the presence of a new planet in the solar system. Astronomy and religion were two of Mark Twain's favorite topics and newsworthy events in either field were likely to ignite his interest. On July 24, 1909, (p. 6), Harper's Weekly published the following letter signed Donald Ross which included no date or indication of the author's residence:. Without any additional clues to Donald Ross's identity, it is impossible to positively identify him. In this letter Donald Ross does not identify himself as a Scotsman. The question of whether or not Ross provided the headline "Things a Scotsman Want to Know" in his manuscript or whether Harper's Weekly editor George Harvey provided the headline is open to speculation. The Presbyterian denomination had originated in Scotland but it seems unlikely Harvey would have provided the headline based on a writer simply identifying himself as Presbyterian. The United States censuses for both 1900 and 1910 provide the names of at least four men named Donald Ross who were born in Scotland between 1830 and 1850 living in the United States at the time the letter was written. The time frames for their birthdates make them potential candidates to have taught a Sunday school class "forty years ago." The use of the name Donald Ross without an associated address protects the identity of all the possible candidates. Did Mark Twain Write the Donald Ross Letter? He said he would be glad if I would get up in the altar and make a few remarks, and I said it would be the proudest moment of my life. So I got up there and told that admiring multitude all about Jim Smiley's Jumping Frog; and I will do myself the credit to say that my efforts were received with the most rapturous applause, and that those of the solemn deacon's to stop it were entirely unheeded by the audience. I honestly intended to draw an instructive moral from that story, but when I got to the end of it I couldn't discover that there was any particular moral sticking out around it anywhere, and so I just let it slide. However, it don't matter. I suppose those children will cipher a moral out of it somehow, because they are so used to that sort of thing. I gained my main point, anyhow, which was to make myself respected in California, because you know you cannot help but respect a man who makes speeches to Sunday Schools, and devotes his time to instructing youth (reprinted in Mark Twain's Travels With Mr. Brown, p. 135). While Mark Twain's Presbyterian background raises suspicions that he might have written the Donald Ross letter, further examination of the letter shows a parallel with Mark Twain's "Little Bessie" questions which began with "Mamma, why is there so much pain and sorrow and suffering? What is it all for?" (Fables of Man, p. 34). The purpose of the "Little Bessie" dialogue was to demonstrate there are no coherent and intelligible answers to profound theological questions. When Donald Ross ends his query to the editor with "Can anyone help me?" he knows beforehand that the answers will likely not be definite, intelligent, and coherent. But a challenge has been issued. What's In a Name? ... or ... Who Was Donald Ross? If Mark Twain did write under the pseudonym of Donald Ross questioning God's role in the universe, was there any significance to his choice of that name? The name Donald Ross was the name of at least two preachers who were likely known to some of the readers of Harper's Weekly. Donald Ross was the name of one of the most prominent evangelical preachers of his era. 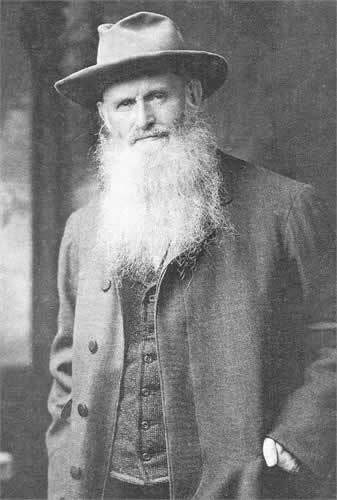 Ross immigrated from Scotland to the United States in 1879 and is known today as one of the founders of the Plymouth Brethren Church movement. Although his early upbringing was in the Presbyterian faith and the Free Church of Scotland, he later broke away from that established denomination and began his own style of preaching. Ross traveled to the United States and settled in Chicago but traveled extensively preaching throughout Canada and the states of Kansas, Texas, California, Oregon and Georgia. In America he was never a member of any formal church. He often rented buildings for delivering his sermons, but was most often found preaching under his tent. According to his son, "His chief delight in aggressive work was a tent. It was to him the symbol of Gospel pioneering, and he fairly revelled in it" (Ross, p. 68). From his home in Chicago, he published a monthly paper for "the Lord's people" called Our Record: A Monthly Publication for the Children of God. Evangelical preacher Donald Ross, had he been living in 1909, could have claimed to have been connected with the Presbyterian church "forty years ago." But this Scotsman named Donald Ross died in 1903. Donald Ross, evangelical preacher, was born in Scotland in 1824 and died in Savannah, Georgia in 1903. In 1909 America was still not lacking for a Presbyterian minister named Donald Ross. One young Canadian with a Scottish heritage had immigrated to California in the early 1890s. San Francisco Morning Call, October 17, 1892, p. 7. Donald McIntyre Ross was born in Canada in 1861 or 1862. Both his parents were born in Scotland. His early career in the pulpit in San Francisco was marked by controversy with Roman Catholic leaders for his criticism of Catholic church politics. From San Francisco, he moved to Chicago and by 1910 was living in Zanesville, Ohio. He later relocated to Denver,Colorado and spent his final years near Dallas, Texas where he died in March 1953. Donald McIntyre Ross's date of birth in the early 1860s makes him much to young to fit the profile of the Harper's Weekly "Donald Ross" who in 1909 had taught classes in connection with the Presbyterian church "forty years ago." The best summary that can be made of the "Donald Ross" name on the Harper's Weekly letter published July 24, 1909 is that it was likely a name a number of readers would associate with a preacher but further identification would be impossible. If Mark Twain chose it as a pseudonym for an otherwise anonymous letter, he made an excellent choice. A pseudonym would protect his two daughters Clara and Jean from public embarrassment as their father publicly probed the nation's conscious with profound theological questions. Forty years previous to the "Donald Ross" letter -- In June 1865 The Californian, a literary weekly magazine, announced Mark Twain would be in charge of writing a department called "Answers to Correspondents." While other literary magazines of that day relied on authentic correspondents and readers to provide fodder for their often comic replies, Mark Twain set out to work with his own imagination -- creating fictitious readers who sent in questions while he provided his own answers. From June 3, 1865 to July 8, 1865, he published six "Answers to Correspondents" columns in The Californian. The faked questions provided a stage for launching his own additional commentary on topics of the day. If Mark Twain penned the original "Donald Ross" inquiry to Harper's Weekly, then the published replies to the question should be examined for evidence of his additional handiwork. On August 28, 1909, p. 6, Harper's Weekly published two replies to the "Donald Ross" inquiry. Letters from Harper's Weekly, August 28, 1909, p. 6. In spite of these letters featuring signatures, dates, and places of origin, neither name -- E. Kaufman from Augusta, Maine or Isidore Sparling of Birmingham, Alabama can be verified as authentic. The U. S. censuses for 1900 and 1910 show no residents by either name for the towns of Augusta, Maine or Birmingham, Alabama. No historical death records, newspaper articles, or any other currently available database in the year 2012 verifies a connection between the names on the letters and places of composition. While negative evidence proves nothing, it does give rise to the suspicion that these names may have also been pseudonyms. The letter signed E. Kaufman is the letter that Mark Twain chose to reference in his unpublished letter to Harper's Weekly. In his reply dated August 31,  and signed with the pseudonym "Beruth A. W. Kennedy," Twain calls himself a "fellow-townsman" of Kaufman. A close examination of the Kaufman letter features the name "Donald Ross" rendered in quotation marks. The existence of the quotation marks appears to indicate that Kaufman knew the name Donald Ross was a pseudonym. Do right and wrong exist per se, or is it merely the point of view? What is good for the early bird could hardly be called good for the worm. The point of view of course. The emphasis that different points of view constituted the differences between right and wrong is a theme that can be found throughout several of Mark Twain's works. In The Innocents Abroad (1867) he describes his fellow passengers aboard the Quaker City praying for fair winds which, in turn, would be head winds to other travelers going in the opposite direction. The same theme is echoed in "War Prayer" (written in 1905) which forced readers to place themselves in the position of those facing destruction as a result of prayers uttered by an enemy. Mark Twain used points of view to blur the lines between right and wrong. E. Kaufman's letter ends with the line "Read Marcus Aurelius." Marcus Aurelius was Roman emperor from 161 to 180 AD. His meditations have survived through the centuries as a monument of stoic philosophy. Readers of Harper's Weekly would likely be familiar with Marcus Aurelius. A few months earlier, in June 1909, Charles W. Eliot, former university president of Harvard, had placed Meditations of Marcus Aurelius on his recommended list of only 25 volumes that could help give any man a liberal education. Eliot's book selections received extensive newspaper publicity as well as criticism for not including the Bible or the works of Shakespeare. It is unknown whether or not Mark Twain ever owned a copy of Marcus Aurelius's writings. However, one of the books that scholars agree had a profound influence on Mark Twain's philosophical development -- History of European Morals from Augustus to Charlemagne by William E. H. Lecky (1874) -- contains lengthy discussions of the philosophy of Marcus Aurelius. Clemens was an avid and continual reader of Lecky and evidence suggests he was reading or recalling passages from Lecky's book in 1909 when he referred to Lecky in his story "The International Lightning Trust" -- a story written during the same time frame as "Things a Scotsman Want to Know" and "Letters from the Earth." Whether or not Mark Twain merely felt a close tie to the thinking expressed in E. Kaufman's letter or whether he actually wrote the letter himself using E. Kaufman as another pseudonym is a question open to speculation. Isidore Sparling's letter, dated a few days prior to E. Kaufman's letter, criticizes the Don Ross inquiry as one that expects answers to profound questions from the pages of a mere weekly journal. Sparling's letter, written from the viewpoint of a Jewish scholar, explains that a thorough answer would require "numerous volumes." However, the Sparling letter also echoes the opinion that the differences between right and wrong are due to different points of view. Analyzing Mark Twain's Letter signed "Beruth A. W. Kennedy"
Alongside "Letters from the Earth"
From "Things a Scotsman Wants to Know"
Evil? There is a plenty of it here below -- invented in heaven and sent down day and night by the giant cargo and prodigally distributed over an utterly innocent and unoffending world. For what purpose? That bright darling, the pulpit, says, to discipline man, and incline him to love his Maker. What a splendid idea! I doubt if there is a cow in the country that is intellectual enough to invent the match to it. Every day the cargo comes down, with presents for us all -- Christmas all the year round, as it were: cholera, mumps, chills, the Indian Black Death, diphtheria, small pox, scarlet fever, consumption, epilepsy, measles, whooping cough, pneumonia, blindness, lameness, deafness, dumbness, heart failure, apoplexy, hydrophobia, idiocy, insanity, palsy, lockjaw, boils, ulcers, cancers, lumbago, St. Vitus's dance, gout, yellow fever, sleeping sickness, nervous prostration, religion, catalepsy, dropsy, typhoid, malaria, the house-fly, the mosquito, the flea, the louse, appendicitis, meningitis, hunger, cold, poverty, grief, misery in a million forms, and thirty-eight billion hostile microbes in every man's lower intestine waiting to take a chance if the other inducements to holy living fail to catch the student out and hale him to the grave. Christmas every day, as you see, and something for everybody. Isn't it a wonderful grab-bag? Invented in heaven, too, not in the other place. Have you ever been acquainted with a mere man who would consent to provide any one of these things for the instruction and improvement of his family and friends? Have you ever been acquainted with a mere man who would not be ashamed if you charged him with inflicting any one of them either openly or secretly upon his enemy? If you charged him with it and proved it, and he explained that he did it to make the beneficiary love him, would you let him continue to run at large? The pulpit says God's ways are not our ways. Thanks. Let us try to get along with our own the best we can; we can't improve on them by experimenting with His. All these horrors are emptied upon man, woman, and helpless child indiscriminately, to discipline them and make them good, and incline them to love their Maker. So the pulpit says. But the like are emptied upon the reptile, the bird, the quadruped and the insect, in the same lavish way. They torture each other, they mutilate each other, they rob each other, they kill each other, they eat each other, they live in the hourly fear of death all their days. Is the idea to train them to righteousness, and make them pious, and fit them for heaven? If it isn't, then what is it for? Why is it done? There is certainly no sense in it, either in their case or man's. Even the cow with all her intellectual prejudices, will think twice before she disputes that. Then what is it for? Why is it done? It seems to me that it proves one thing conclusively: if our Maker is all-powerful for good or evil, He is not in His right mind. What Is Man? And Other Philosophical Writings. Edited by Paul Baender. (University of California Press, 1973), pp. 399-400. From "Letters from the Earth"
Think of the diseases he has contrived for them! They are multitudinous; no book can name them all. And each one is a trap, set for an innocent victim. From cradle to grave these enemies are always at work, they know no rest, night nor day. They are an army; an organized army; a besieging army; an assaulting army; an army that is alert, watchful, eager, merciless; an army that never wearies, never relents, never grants a truce. It moves by squad, by company, by battalion, by regiment, by division, by army corps; upon occasion it masses its parts and moves upon mankind with its whole strength. It is the Creator's Grand Army, and he is the Commander in Chief. Along it battlefront its grisly banners wave their legends in the face of the sun: Disaster, Disease, and the rest. Disease! that is the main force, the diligent force, the devastating force! It attacks the infant the moment it is born; it furnishes it one malady after another: croup, measles, mumps, bowel troubles, teething-pains, scarlet fever, and other childhood specialties. It chases the child into youth and furnishes it some specialties for that time of life. It chases the youth into maturity; maturity into age, and age into the grave. With these facts before you will you now try to guess man's chiefest pet name for this ferocious Commander in Chief? I will save you the trouble -- but you must not laugh. It is Our Father in Heaven! The Christian concedes it in that italicised sentence. Concedes it with feeling, with enthusiasm. It is as I tell you. He equips the Creator with every trait that goes to the making of a fiend, and then arrives at the conclusion, that a fiend and a father are the same thing! Yet he would deny that a malevolent lunatic and a Sunday school superintendent are essentially the same. What do you think of the human mind? I mean, in case you think there is a human mind. What Is Man? And Other Philosophical Writings. Edited by Paul Baender. (University of California Press, 1973), pp. 427-428. No significance in Mark Twain's selection of the name Beruth A. W. Kennedy as a pseudonym has been established. The name is not found in any historical records available in searchable databases in 2012. If Mark Twain did send a copy of his letter signed Beruth A. W. Kennedy to Harper's Weekly, the name was so unusual it would likely not be claimed by anyone else. Sometimes my feelings are so hot that I have to take to the pen and pour them out on paper to keep them from setting me afire inside; then all that ink and labor are wasted, because I can't print the result. I have just finished an article of this kind, and it satisfies me entirely. It does my weather-beaten soul good to read it, and admire the trouble it would make for me and the family. I will leave it behind, and utter it from the grave. There is free speech there, and no harm to the family. ("The Privilege of the Grave," published in Who is Mark Twain?, p. 60). There is currently no conclusive evidence that Mark Twain perpetuated a "correspondents" hoax based on a letter signed "Donald Ross" and headlined "Things a Scotsman Wants to Know" in Harper's Weekly during the summer of 1909. What is conclusive is that he did write at least one letter related to the debate that was never published until 1973. The religious debates swirling around him that summer of 1909 were of vital interest to him but his viewpoints were those he felt must be hidden behind pseudonyms and not openly expressed. The use of pseudonyms would have offered him an outlet for those expressions and protected his surviving daughters and literary reputation as well. contains the full text of "The Privilege of the Grave"
Bjorlie, John. "Ross, Donald Bio," Online Biblical Resource Library. Accessed 19 June 2012. Donald Ross Overview. Online at ancestry.com. Accessed 18 June 2012. "Eliot Names Books for 5-Foot Library," The New York Times, 17 June 1909. Foster, George Burman. The Function of Religion in Man's Struggle for Existence. (University of Chicago Press, 1909). Gribben, Alan. Mark Twain's Library: A Reconstruction. (G. K. Hall and Company, 1980). "Guide to the George Burman Foster Papers 1897-1917," (University of Chicago Library, 1999). Accessed 21 June 2012. "Hard Words for Dr. Akid," The New York Times, 25 June 1909. Paine, Albert Bigelow. Mark Twain: A Biography, 4 volumes. (Harper and Brothers, 1912). _____. Mark Twain's Letters, Volume 2. (Harper and Brothers, 1917). 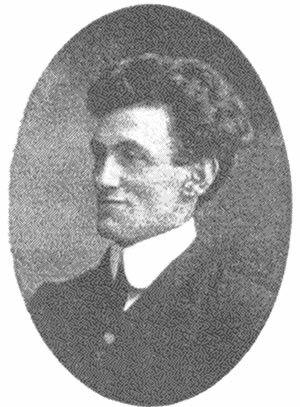 Rasmussen, R. Kent. Critical Companion to Mark Twain, Volumes 1 and 2. (Facts on File, 2007). Ross, C. W., ed. Donald Ross: Pioneer Evangelist of the North of Scotland and United States of America. (John Ritchie, n.d.). Twain, Mark. Fables of Man. Edited by John S. Tuckey. (University of California Press, 1972). _____. What Is Man? And Other Philosophical Writings. Edited by Paul Baender. (University of California Press, 1973). _____. Who Is Mark Twain? HarperCollins, 2009. Walker, Franklin and G. Ezra Dane, eds. Mark Twain's Travels With Mr. Brown. (Alfred A. Knopf, 1940).